Can My Spouse Disinherit Me Under New York Law? In New York, a spouse cannot entirely be disinherited by his or her spouse. Even in situations where a person makes an express provision in a will that his spouse is not to inherit his property, the surviving spouse is allowed to make an elective share of the deceased person’s estate. Note that when a person dies without leaving a will, a surviving spouse can receive the entire estate, or receive half the estate if the deceased person had children. Where there is a will that seeks to disinherit a surviving spouse, the surviving spouse is allowed to take an elective share of the estate, which is usually a third of the net estate. The surviving spouse can take the elective share even when the property is bequeathed to another person under the will. However, if a gift was made to another person with the surviving spouse’s consent, the surviving spouse cannot then seek to make an elective share that includes this gift. Spouses can waive their rights to make an elective share as long as the waiver is unambiguous, unquestionable, and otherwise meets the legal requirements. A waiver of an elective share can be included in a pre-nuptial or post-nuptial agreement. People who enter into these agreements should ensure that they understand any such clauses because of the adverse effects a waiver could have on their ability to inherit anything from their spouses. A surviving spouse is not allowed to take an elective share if the spouses were divorced, their marriage was declared legally void, the spouses were legally separated, or if the surviving spouse had abandoned the deceased spouse. When a marriage is annulled when the spouses are alive, the spouses cannot make spousal elections against each other’s estates. However, when the annulment is after the death of one of the spouses, it may not affect a person’s ability to make a spousal election if the court rules that the annulment is effective when the court enters the order annulling the marriage. The reasoning behind this is the fact that a spouse gains a right to make a spousal election immediately upon the death of the other spouse, unless there is a prior agreement. An annulment of the marriage does not take away this right. A person choosing to take the spousal election has a limited time within which to make this election. If the spouse fails to make a written election within this time, he or she may lose these important rights under the law. If a spouse has been bequeathed some property in a will by a deceased spouse, he or she should determine if the property exceeds the spousal election share of the estate in order to decide whether it is advantageous to take the election or to inherit under the provisions of the will. 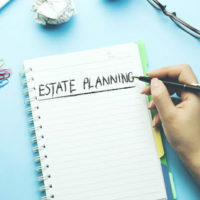 This would require finding out the true value of the deceased’s estate, and determining which property would be subject to the elective share. It is important to speak to an experienced attorney before making the choice. Children do not have a right of election against their parent’s estates, and a parent can disinherit a child, either by expressly saying so in a will, or by not making any provision for the child in a will or other estate planning document. If you have been disinherited by your deceased spouse, you should take advantage of the protections provided under the law to protect your interests in your spouse’s estate. To schedule a consultation and find out more about how you can file a claim for your spouse’s share in the estate, contact an experienced estate planning attorney at Meyer & Spencer, P.C., with offices in Pleasantville and Mahopac, New York, and serving Westchester and Putnam Counties.